For over 40 years, at Centerless Grinding Service, we have been processing precision straightened, centerless ground and polished bar stock, along with providing cutting edge grinding services. 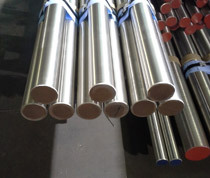 Our seasoned staff goes to extraordinary measures to ensure that Centerless Grinding Service produces the most precision straightened bar stocks and thin wall tubing in the industry which far exceeds MIL-SPECS. We utilize both precision press and high speed rolling methods in our straightening processes that allows us to reduce machining and grinding costs on a wide array of material jobs. This ultimately leads to a much higher quality, value added product for our customers. 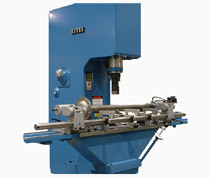 Experience combined with capability allow us to perform straightening of the highest quality and the ability to provide straightening on materials up to 30' in length (standard), 10" in diameter to straightness tolerances of .006 in/ft. TIR (under 1") and .0015 in/ft. TIR (over 1"). We can even provide closer tolerances as tight as .0005 in/ft. TIR, which make our services ideal for the marine, pulp and paper, energy and automotive industries. 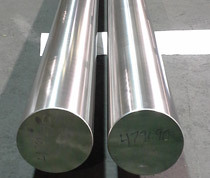 Producing a much straighter bar also allows for tighter diameter tolerances during the grinding process. 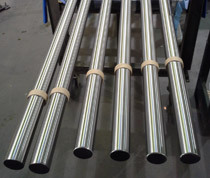 Depending on the specific requirements, we can accommodate the need for precision straightening of larger diameters and longer lengths. With our unique mix of equipment, highly skilled employees, and our dedication to customer satisfaction, our work is done with the highest attention to detail and can meet the most demanding customer's needs. In addition to quick turnaround and delivery, we offer production runs from small to large quantities, and all work meets or exceeds MIL-Q-9858A, MIL-I-45208A, and ISO 9001 standards. To learn more about our precision straightening services, contact us or see the table below. Straightening Diameter Up to 10"